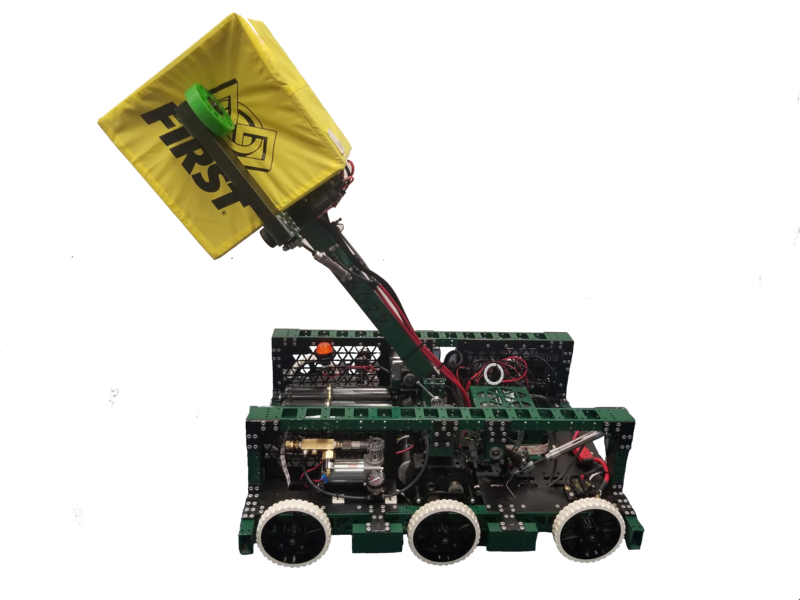 The Highlanders are proud to introduce our 2018 robot Symatar. The Highlanders had an amazing season participating in 2 regionals and The Houston World Championship. The Highlanders designed a swtich bot to focus on the switches and autonomous. Auto: 2 crate auto in center, 1 crate on sides. The match begins with a fifteen (15)-second Autonomous Period. 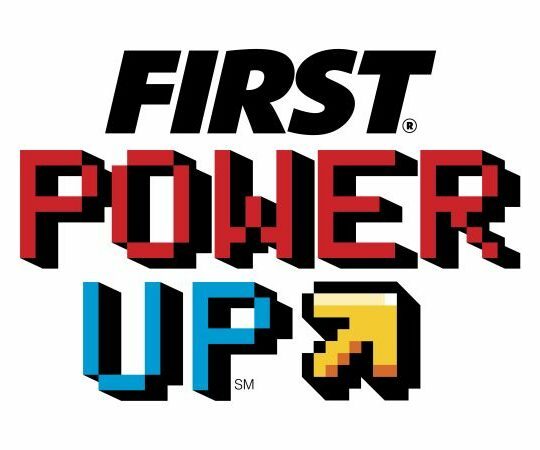 This game was scored based on time for ownership of the scale on switch. Robots placed cubes in each scoring element to have ownership. 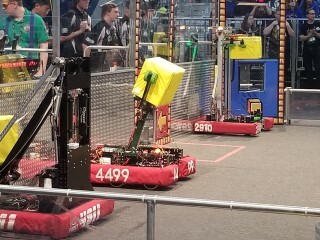 The end game was a 3 robot climb for ranking points. For 2018 we had a very small team and decided to pick one task for the challenge and focus on doing 1 task and doing it very well. 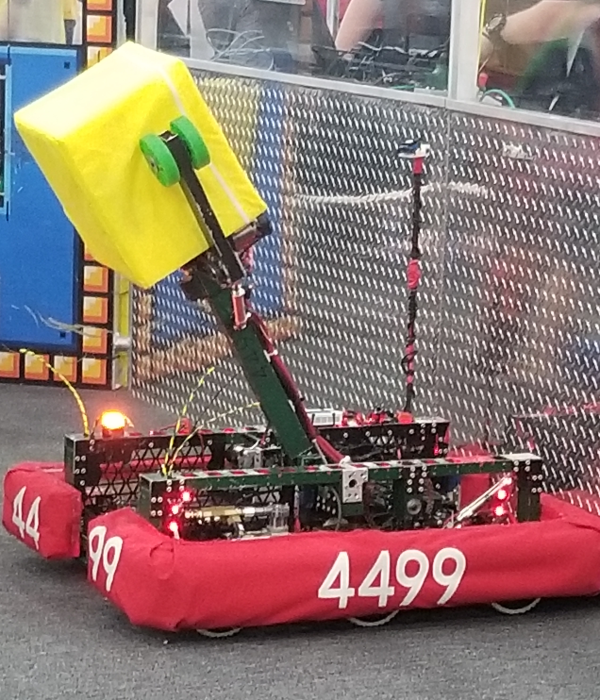 We decided doing a ramp system for the end game but decided after our first regional to put that aside and improve our arm and autonomous. We didnt realize how good our descision was until we made it to Championship. We were luck enough to be on an alliance that performed so well, that we won our first robot performance award, Division winners! We went on to become Championship finalists! What an amazing Championship. 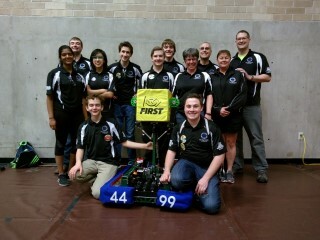 We couldnt have done it without an amazing alliance.Check out some of our season highlights. This season was amazing...Einstein Finalists!